Not all joke books are created equal. 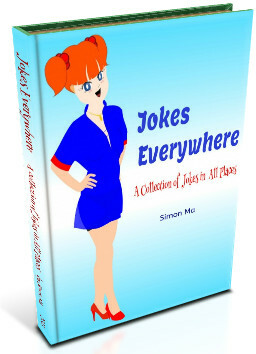 JustJokey publishes the best jokes books on the planet! You an read them in all devices. Books are usually in PDF (for reading and printing on PCs), EPUB (for reading in iPhone, iPad, and most eBook readers), Kindle (for reading in Amazon Kindle, in Kindle app for Android, and Kindle app for iPhone and iPad! From the Hell to the Heaven: Jokes Everywhere (ISBN 9781301002849) is available now!